Ladies and gentlemen, Lake Tahoe isn't the only amazing lake in the High Sierras. The fact is that the High Sierras are lined with beautiful lakes, not the least of which is one of my favorite escapes, and one of the region's smallest lakes, Donner Lake. Located just beyond one of my favorite West Coast towns, Truckee, California, Donner Lake is just short of three miles in length and a half-mile in width. 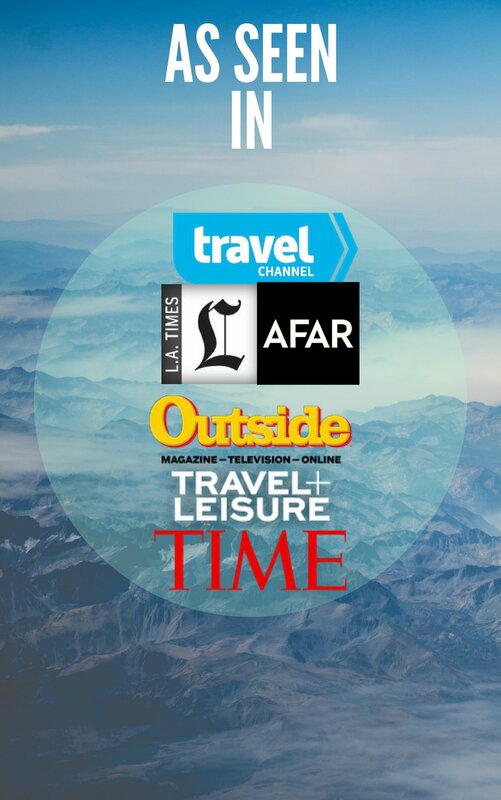 But what Donner lacks in size, it makes up in beauty, things to do, and an off-the-beaten-path vibe that can be hard to by at nearby Lake Tahoe. That's Donner, as in Donner Party, the infamous party of pioneers who fell prey to the elements of the region in the winter of 1846. Needless to say, a weekend getaway to Donner Lake today isn't so ill-fated. For no bigger than Donner Lake is, it packs a punch of things to do, and all within just a couple miles of one another. When I want to California weekend getaway in the Sierras, Donner Lake is the first place I come to. 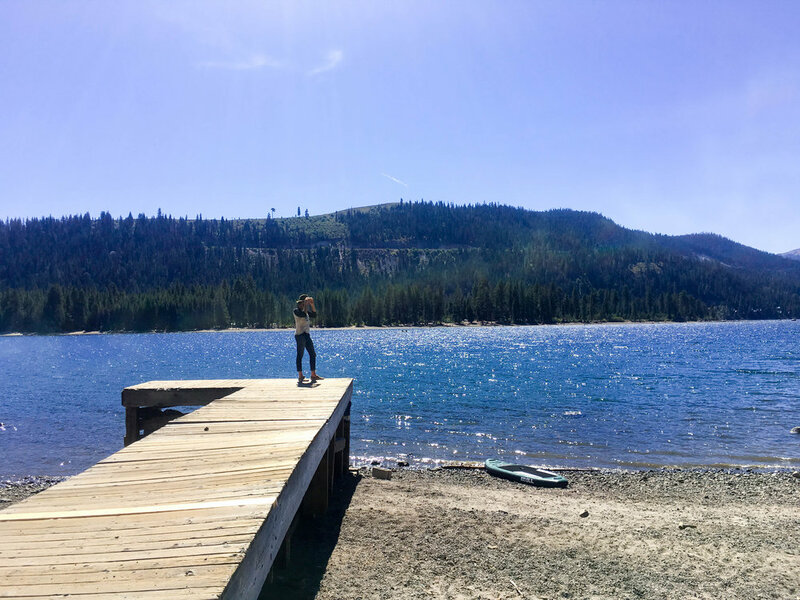 So today I come to you with my guide on what to do and where to play around Donner Lake. 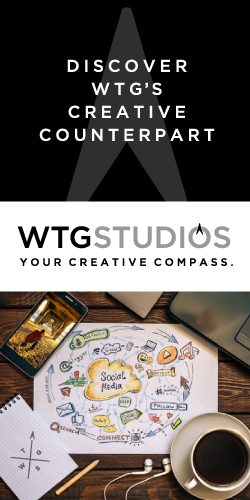 Yes, that's right, the Pacific Crest Trail (PCT), as in the 2,650-mile trail that runs from Canada to Mexico, and the central character from Reese Witherspoon's movie, Wild (based on the Cheryl Strayed book by the same name). 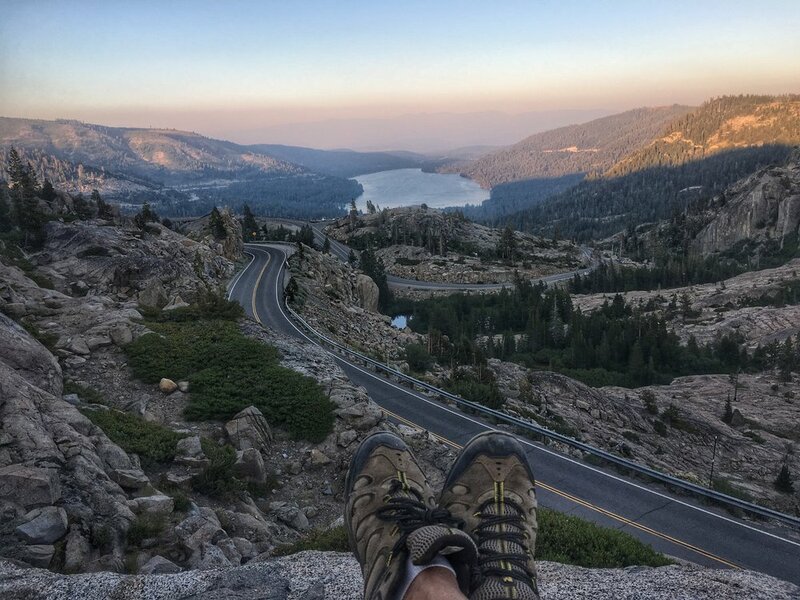 The PCT weaves along Donner Summit, just beyond Donner Lake, and featuring great views of the lake and surrounding mountain peaks. You can pick the trail up at several nearby places, but I typically drive to Donner Summit, where there are signs marking the trail and plenty of parking off the road. 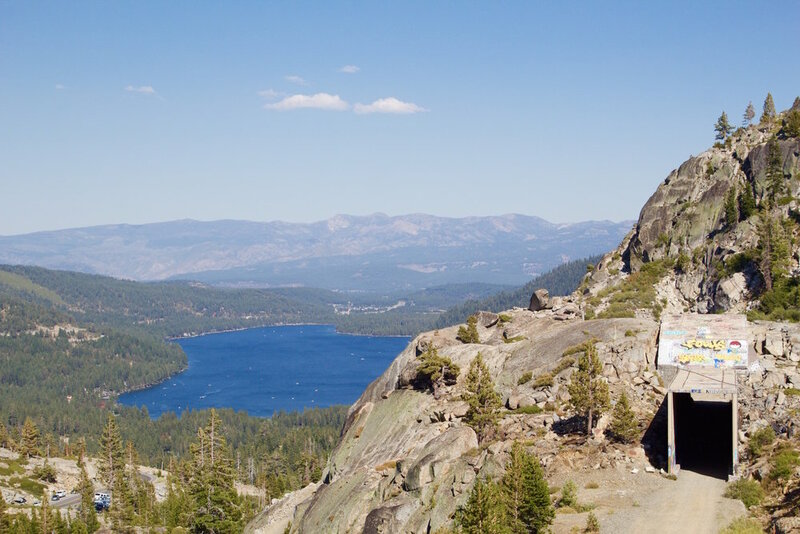 In its 24th year this October is the Donner Party Hike, which is a weekend of hikes on October 8-9, along a number of trails around Donner Lake. 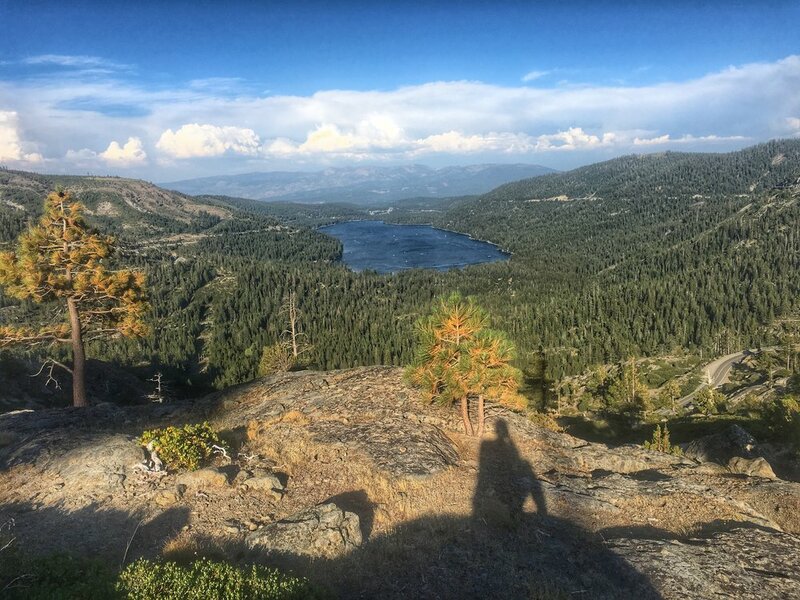 Additionally, Donner Lake Rim Trail is a 23-mile multi-use trail along the ridges and mountains surrounding Donner Lake. In other words, you won't have a hard time finding hiking trails around Donner Lake. Spoiler alert: The views are stupid-beautiful. Kind of sounds like the beginning to a horror movie, right? But trust me, this is one set of abandoned tunnels you'll walk to walk down. Located near the top of Donner Summit, overlooking Donner Lake, is a series of tunnels that date back decades, originally built for trains to traverse the Sierras quicker and more effectively than the transportation methods many had long tried and failed. Today the tunnels lie abandoned, lined with graffiti, and with some of the best views overlooking Donner Lake. You can park just off the road at a number of different spots, and be to the tunnels within just a few minutes. Bonus points, if you look carefully, you may even seem some petroglyphs in the rocks below the tunnels that date back thousands of years. It's for these reasons that Donner Summit is considered one of the most historic square miles in California. It all comes full circle with the Donner Party at Donner Memorial State Park, a California state park that has preserved the site of the Donner Party. Here you'll also find the Emigrant Trail Museum and Pioneer Monument, which remember and tell the story of the Donner Party. Just beyond the museum, however, are 150 camping sites that are mere yards from Donner Lake. 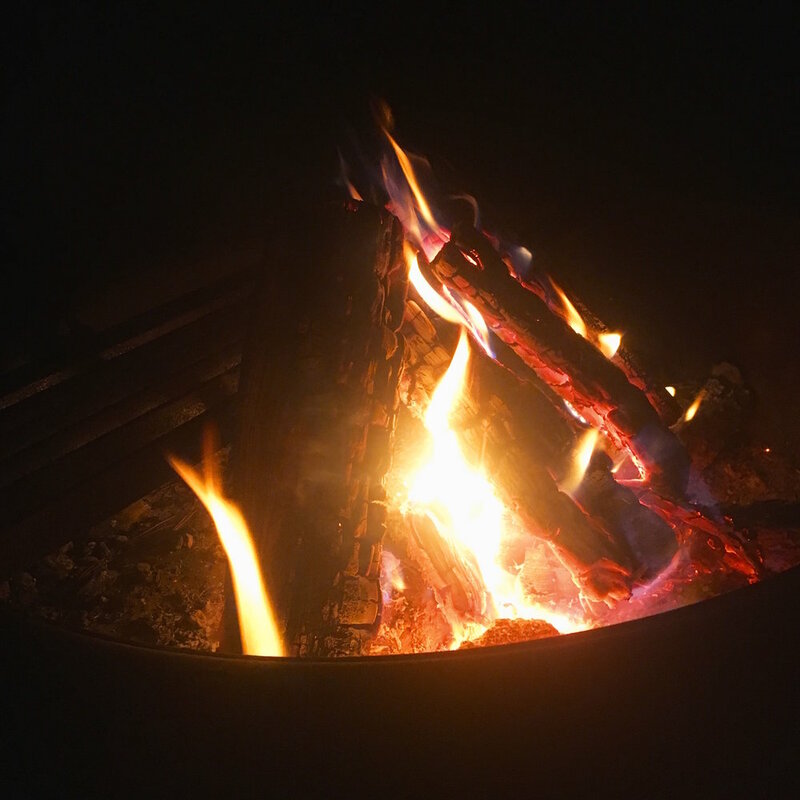 Come fall, the Ridge Campground is the only campground that's open (and by walk-up only in the fall), since evening temperatures start to dip below freezing. While the Ridge Campground usually closes in mid-October, there's dispersed camping around Donner Summit on Tahoe National Forest land. Pack appropriately, because it gets nippy. Small as Donner Lake may be, it's just big enough for water sports, including boating, sailing (since it can get windy), kayaking, and my favorite water sport, stand-up paddleboarding. Donner Lake Marina and Watersports has locations at both ends of Donner Lake, where you can rent a variety of boats, jet skis, kayaks, and paddleboards. As beautiful as Lake Tahoe is, there's just something about paddling beneath the towering Donner Summit, rocky cliffs, and abandoned train tunnels. Perhaps the best part about Donner Lake, however, are the free public docks that line the north shore of the lake on Donner Pass Road. Bring your own picnic, or grab a couple slices from nearby Front Street Station, and grab a dock. More than once I've enjoyed slices with friends while the sun fell over the lake behind the mountains. Not a terrible way to spend a day. Surrounding Donner Summit's railroad tunnels are a number of large rock faces that make for great rock climbing. It's not unusual to drive up the summit and see cars lining the parking areas, most of which are for climbers scaling a number of great climbs just off the road. With so many different rocks and rock climbing routes, Donner Summit truly caters to all levels of rock climbers, even kids, who I've seen rock climbing with their parents or guides. Among the most popular rock climbings walls is Snowshed, which is just off the road. You can also go out with guides, such as with In Stone or Alpine Skills.